Navigating. We rarely think about it, and yet for most of us it is an everyday activity. Internet, Google Maps, GPS, etcetera: who can do without them? Mira Sanders was deeply touched by Robert Louis Stevenson’s travel story An Inland Voyage (1878). In it Stevenson relates how with a friend he paddled in a canoe from the Belgian town of Antwerp to Pontoise in France. The wonderfully entertaining travel story is a portrait of a fragment of Europe at a rather innocent and carefree juncture. 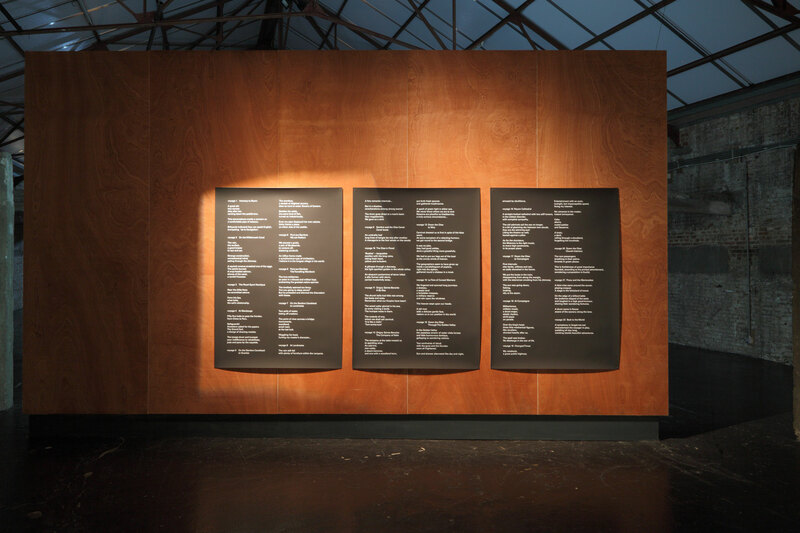 Sanders translates Stevenson’s writings into ‘a subjective map’: 22 panels that have been created for the upper floor at Argos, with its distinctive features. The project for that matter dovetails with the history of the area, which was till the late nineteenth century famous for its shipbuilding yards. Sanders’s choice of graphite pencil and watercolour for this work was inspired by her love of the techniques of miniature painting and portolan charts. Step by step, Sanders’s monumental work depicts concepts Stevenson writes about in his travelogue, but also things he does not mention, namely references to the present or personal reflections. 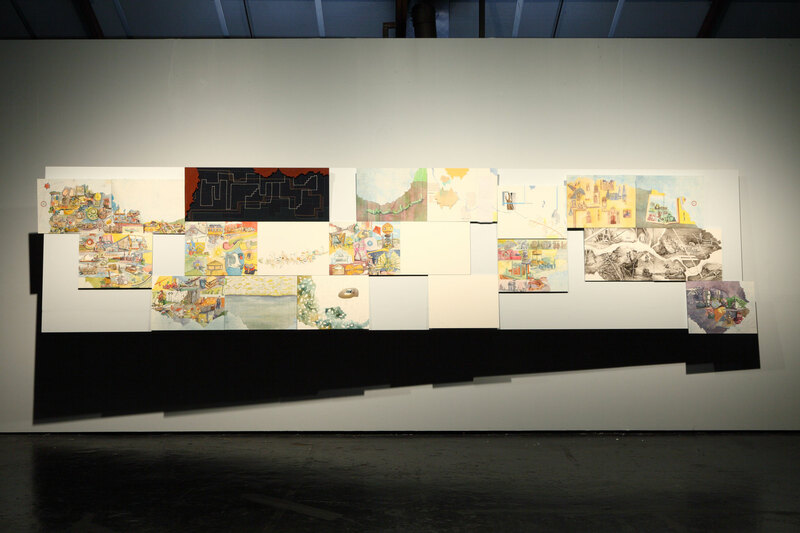 Furthermore, Sanders invited Guðný Rósa Ingimarsdóttir, Filip Berte, Jan Kopp, Erwan Mahéo and Cédric Noël to participate in the project and draw fragments of this imaginary landscape. A film screening presents a new version to the public. The historical and contemporary way of dealing with territory and navigation interweaves with a reflection on the language of cinema. 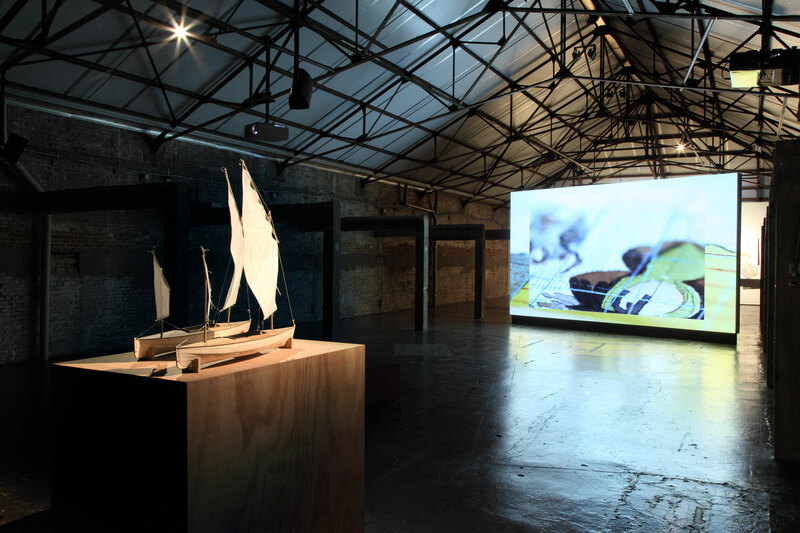 Two models of the canoes Stevenson and his companion used for their trip function as an overture to the exhibition. Like the map, the canoes appeal to our imagination and invite us to embark on the expedition that Inland Voyages in an Inland Voyage suggests.